Here in Canada, human rights abuses around me can be openly contested and fought. The people who do so do not go to jail. In short, there is very little to lose by expressing opposition to injustice. Why then, do I hold back? It may be unpopular to oppose abortion, for example, but it’s not illegal. Pro-lifers are most routinely ignored, not punished. Even so, our numbers are few. The biggest problem in fighting the injustice of abortion is getting people to see that abortion marks an actual injustice. Fidel Castro is resigning from another “term” as President. The media report this as if he had been elected and actually had a democratic mandate. Now they’ll need a replacement, which is kind of like when the Liberals held a convention after Paul Martin stepped down, right? Unbelievable, the way people discuss Cuba. This morning the CBC asked their “woman on the ground” (she was in Mexico, but I digress) what his legacy was, and she responded with talk of free public health care. 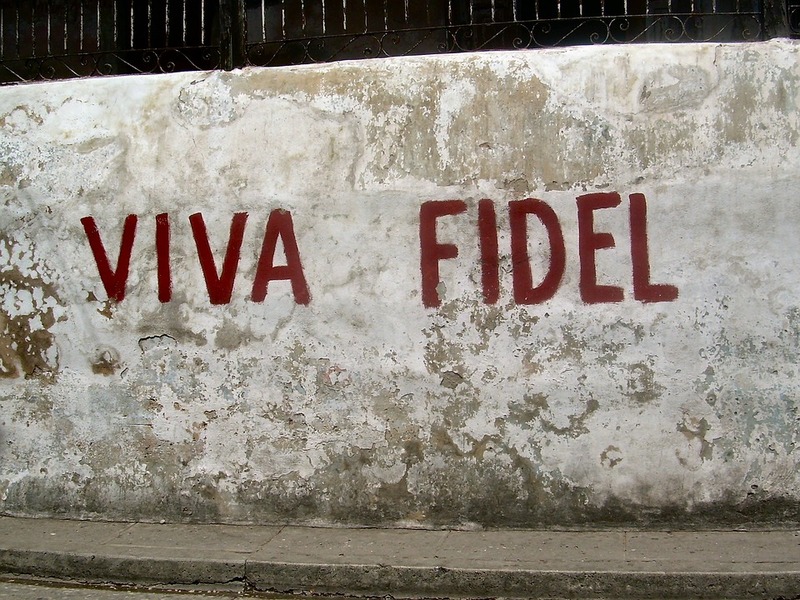 They then pondered poverty in Cuba–whether it had been caused by Fidel or whether the American boycott was to blame. Now I have to go see whether some savvy stylist can replace the hair I just lit on fire. Update: I had not noticed this in the Post today, an article about a Montreal exhibit of Cuban art, which avoids and evades the “politics” of Cuba–namely the notion that Castro is and was a tyrannical dictator. Thank you, Robert Fulford. Still, its romantic, half-blind approach calls for a strong antidote. Fortunately, there’s one available. A visit to the MMFA show should be followed by a viewing of Before Night Falls, the superb film that Julian Schnabel made in 2000 from the memoirs of Reinaldo Arenas (1943-1990). As a teenager Arenas welcomed the revolution but later found himself classed as its enemy because he was gay and because he sent his poetry outside Cuba for publication. Schnabel shows Arenas (brilliantly played by Javier Bardem) brutalized by the goons of homophobic communism, which established prison camps for the punishment of gays. Exiled in the 1980 Mariel boatlift, Arenas arrived in New York. He killed himself in 1990, leaving a suicide note that blamed Castro for ruining his life. Neither Arenas nor anyone who shared his fate gets mentioned in the Montreal show. The governing principle of the exhibition is neither artistic nor historical. What the MMFA has delivered on this occasion is a distorted and pathetic expression of cultural diplomacy.